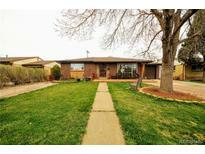 Below you can view all the homes for sale in the Cloverdale West subdivision located in Lakewood Colorado. 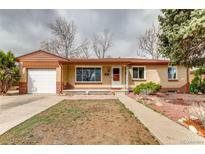 Listings in Cloverdale West are updated daily from data we receive from the Denver multiple listing service. To learn more about any of these homes or to receive custom notifications when a new property is listed for sale in Cloverdale West, give us a call at 720-897-0273. This home is available to the first buyer who acts NOW so don't miss out on this great opportunity ** MLS#3564211. inMotion Group Properties. 3 egress windows added in the basement, 5 year old furnace, new electrical service, professional landscaping... everything has been done! Just move in! MLS#8020470. RE/MAX 100 INC..
New water heater and roof from 2012. MLS#5408600. Signature Real Estate Corp.. This is a must see! No open house is scheduled. MLS#6567891. RE/MAX ALLIANCE. Close to Belmar shopping area and Belmar Park as well as Lakewood Link Recreation Center. MLS#3897759. Ion Real Estate Inc.. Call now to schedule your showing! MLS#4922836. TRELORA. *Don't wait, this one will not last! * MLS#7006519. Keller Williams Advantage Realty LLC. Very desirable Lakewood neighborhood located near schools, shops and restaurants. https://getawalkthrough.com/listing/Lakewood/7396-W-Maryland-Ave MLS#6016267. Colorado Realty Pros. Enjoy and see the professional panos and virtual tour! MLS#5187935. REALNET CO.
Near Belmar Elementary, five minutes to Lakewood City Center. MLS#2594042. Denver House Pros. Great large yard with new sod and sprinkler system covered patio and 2 storage sheds make this home a perfect match for buyers wanting a great home and value. Hurry! MLS#3746587. MB SOUTHWEST SABINA & COMPANY. Finished basement features another family/entertainment space w/granite counter bar, 4th bedroom in the basement has egress window, there is also a large laundry room and another room that can be an office or a gym.Too many improvements to list: beautiful hardwood floors throughout main level, new paint, new carpet, newer windows, hickory kitchen cabinets, SS appliances, new tile,vanities, hardware, new A/C, insulated blinds in bedrooms, tinted windows..Come and take and look!Check out the 3D tour through the house: https://my.matterport.com/show/?m=hVFYTF4gfb1 MLS#4249433. Impressions Realty. Buyer to verify square footage, taxes, schools. MLS#5663634. Brokers Guild Classic. Nicely finished basement with 2 non-conforming bedrooms family room, and laundry room. Desirable Jefferson Country School District. MLS#2116003. Alpenlux Real Estate. Anticipated completion for build is June 2019. MLS#5938004. Addison & Maxwell. Please refer to supplements for the home design and layout. MLS#9409143. Addison & Maxwell.